Archives of Ontario will present 'Lights, Action, Archives' featuring humorous old 'health' films and others. Martha Casson joins us with one of her housemates from the now famous Port Perry 'Golden Girls'. Learn how four women planned and pooled their resources to live comfortably together for the rest of their lives. Vern Thibedeau - Former Corrections Officer/Guard, Vern Thibedeau, shares what is was like to work in Canadian prisons for 26 years, and Kingston Penitentiary in particular. David Phillips, dynamic, entertaining Senior Climatologist for Environment Canada and spokesperson for the Meteorological Service of Canada. ​ELLIN BESSNER - Professor of Journalism, Centennial College, will dazzle us with a presentation based on her excellent new book; "Double Threat", about Canadian Jews, the Military, and WW11. ED ADACH - "Confessions of a Forensic Detective". Meet a real life crime-fighter with 26 years of forensic experience with Toronto Police Forensic Services. Bev Foster - An award-winning and experienced performer, songwriter, music educator, and Founder, Executive Director, of the Room 217 Foundation, Bev will highlight the life-changing power of "Care through Music". 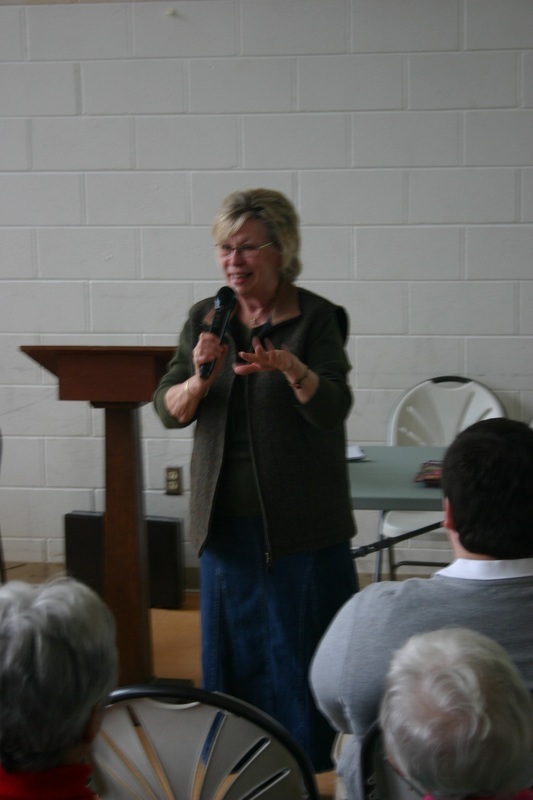 DR. Lynne Kennette presented her wonderful program; "Memory - Abilities and Failings". Ted Barris, Award-winning author, journalist and broadcaster, Ted Barris, returned to amaze us with 'Dam Busters: Canadian Airmen and the Secret Raid Against Nazi Germany'. Stephanie Ball - Executive Dean of the School of Justice and Emergency Services, and and Interdisciplinary Studies, Durham College, will present Access to Justice; The HUB Project. ​Joanne Arbour presented' 'If It Can Happen To Them, It Can Happen To You -- Wrongful Convictions In Canada'. Her lecture covered some of Canada's most notorious past cases. Diane Dupuy, Founder of FAMOUS PEOPLE PLAYERS a black-light puppetry theatre troupe featuring developmentally challenged performers. Peter Young, Enjoyed wonderful musical memories as Oshawa Historical Society member, Peter Young, talked about dance halls and summer dance pavilions around Ontario, the buildings, the owners, the bands and the people who came to dance. Paul Arculus - Fun and lively historian, Paul talked about "Mayhem To Murder. The History of the Markham Gang: Organized Crime in Canada West in the 1840's". Barbara Dickson - Historian, speaker,television consultant and multi published author presented "Bomb Girls: Trading Aprons For Ammo". Bright and bubbly Dr. Amy Barron presented: 'Agatha, Archaeology and Alzheimers'. Amy is Faculty, Museum Management and Curatorship (Fleming College), interim Curator (Scugog Shores Museum) and a Lecturer with the Archaeological Institute of America. Elaine Charal, entertainer and speaker extraordinaire returned with The Power of the Pen. Funny and bright, Elaine analysed the handwriting of some of our members who are willing to volunteer. January -- Glenn McKnight and Robert T. Bell. - World War 1. May -- Kevin Donovan, an award winning Canadian journalist who investigates police, government, business and charity. His nose for hard news has taken him to Afghanistan, and Iraq. June -- Ray Argyle, to help us celebrate the 150th Anniversary of Confederation presented his: "Anchors of Confederation. How the CPR and Joey Smallwood stitched Canada together." July -- Sandor Johnson , Potter Settlement Winery, international model and television actor. August -- Thanh Campbell, returned to share the documentary 'The Flight' about OPERATION BABYLIFT. 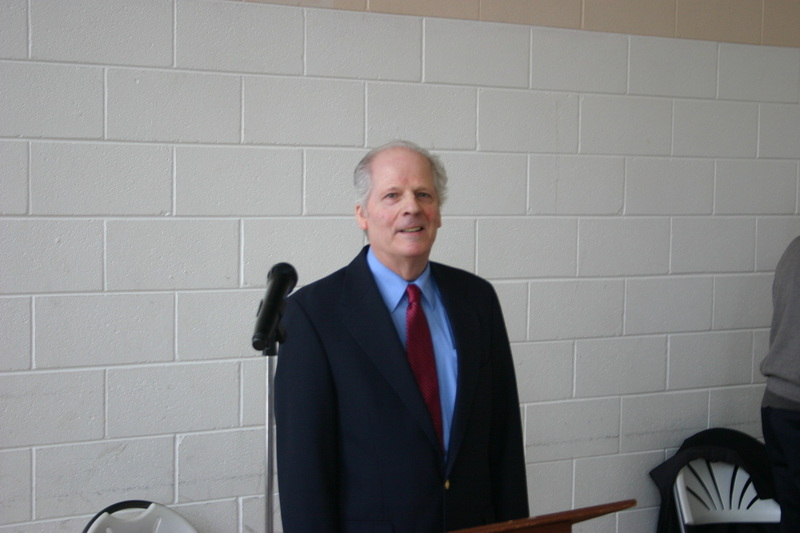 September -- Ted Barris, author, journalist, professor and broadcaster delivered a dazzling program on his award winning, The Great Escape A Canadian Story'. ​ October -- Dr. Dana Blakolmer, Optometrist spoke about her association with Third World Eye Care Society, Canada (TWECS) and their recent eye care missions to Nicaragua, Nepal and Peru. May -- Terry Reardon, “Winston Churchill & Mackenzie King,” with emphasis on Canada in WW11. Jim led an interactive session on how the brain functionsand invited members to participate and shake the cobwebs from their brain cells. Graham worked for the UN in Southern Sudan and had to help respond to the needs for maintaining peace while surrounded by the instability of Sudan, The Congo and surrounding African countries. Topic: Stories and photos - shared her experiences based on revisiting Cambodia, "the Lost Country" – follow on/update on great presentation at Lifelong Learning last year. Topic: Author of “Between Two Women, A Stratford book”. Bruce was Stratford’s speaker at their Doors Open, which is the kick off to their tourist season. Roderick talked about the leadership qualities and attributes of many of Canada's former Prime Ministers. Roderick is the owner of Fireside Publishing House which has a web site called "Leaders and Legacies" offering many insights into former Canadian prime ministers and governors general. His company has produced a series of books designed to educate youth by placing our former Prime Ministers in a historical fiction mysteries and adventures in order to stimulate learning and interest, his books have been featured in Maclean's Magazine, the Globe and Mail, the National Post and other major media. Alan shared the incredible experience of leading the first family climb of Mount Everest in 2008. Alan's presentation was a stunning visual and emotional journey that brings the audience along on Alan's family's two month expedition. Author of four books of fiction and two books of poetry. Her short story collection “the Heart Is Its Own Reason” has been optioned for film”. Her poetry collection was nominated for the Gerald Lampert Memorial award. Her latest book “In Calamity Jane’s Wake” is a mixture of little known facts about the legend of Calamity Jane, wrapped in a surreal story about the fictional daughter seeking to find her and understand her past. Natalee’s PhD studies into the role of women in the “Wild West” provides some fascinating perspectives of life in that era. Historian, author of over 90 books, many on Canadian history. Specializes in bringing a human face to historical moments on many subjects. Local gardening expert, recommended by Brooklin Horticultural Society and other PROBUS members. Author of Life on Tall Ships in 1812. This tied into the Whitby Tall Ships event that occurs in the harbour each year. It describes the harsh world on board ships at that time – little of the glamour associated with Tall Ships in movies. 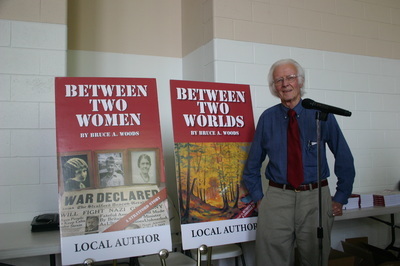 Award winning Author and humourist, (2008 Stephen Leacock Medal for humour, Gold Medal in Independent Publisher awards). Satirical books of Canadian politics are “Best Laid Plans” and “The High Road”. May 28th - Bobby Baun, former star of Toronto Maple Leafs hockey team. Bobby of course represents our Stanley Cup hockey fever theme and hopefully will share his thoughts on our Maple Leaf teams' prospects as well as other teams in contention. He is also involved in a variety of other post hockey career endeavors in our community and will share some of those with us. Emerging from a background of immense personal challenge and tragedy, Dan has become an inspiration and role model to individuals across Canada, motivating them to achieve their full potential. His deep commitment to making a difference to those in need has led to the establishment of a number of community initiatives. Some of some which are, the founding of the "Hope Centre of Learning", the creation of the "Day of Hope and Leadership" and one of which he is especially proud, "The Isobel Carter Youth Fund". He is the author of "its the Right Time Now" chronicling his own life story and will provide our members with a book signing opportunity after his presentation. The Honorable Jim Flaherty, Canada's Minister of Finance said of him, "Dan is a dedicated leader and an inspiration to all who know him. He truly walks the talk as he carries his message to both his community and across this great country of Canada." Star of two TV shows, "Harrowsmith Country Life" and "The Secret World of Gardening". Martin teaches biology at Seneca College and gave humorous insights into the many things and creatures that we find in our gardens.